European XFEL starts operation of its third light source, SASE 2. DESY and European XFEL staff and scientists have worked hard over the last year to ensure the timely start of operation of all three light sources, and have also continually improved the parameters of the X-ray beam and instruments. Since the first users arrived in September 2017, the number of X-ray pulses available for experiments has been increased from 300 to 3000 per second for the next experiments, scheduled from August to October 2018. 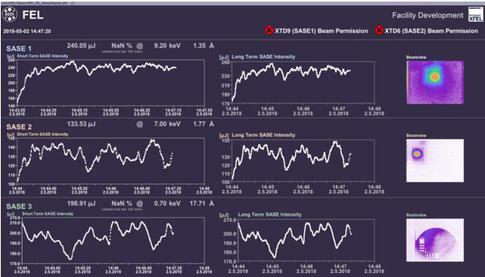 At full capacity, the European XFEL is expected to produce 27,000 pulses per second and DESY and European XFEL teams are working towards achieving this rate in test conditions during the next few months. In addition, the construction and commissioning of the remaining four instruments continues this year. 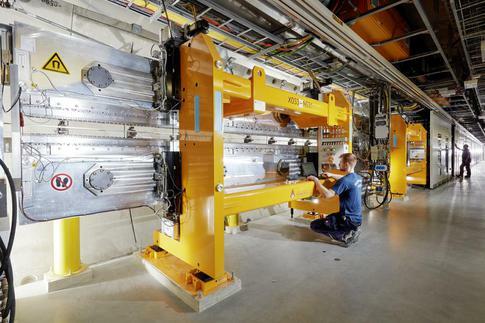 Once MID and HED start operation in 2019, European XFEL will have a total of six experiment stations available for users, running from the three light sources. Since the start of user operation in September 2017, European XFEL has hosted over 500 researchers in international and interdisciplinary teams for experiments on the first two instruments. SPB/SFX and FXE share the X-ray beam generated in SASE1, each using the beam for alternate 12 hours per day during an experiment. Each user group generally has five days of beamtime. For the next round of experiments due to start in August, 61 proposals were received from which twelve experiments, six per instrument (SPB/SFX and FXE), will be granted. 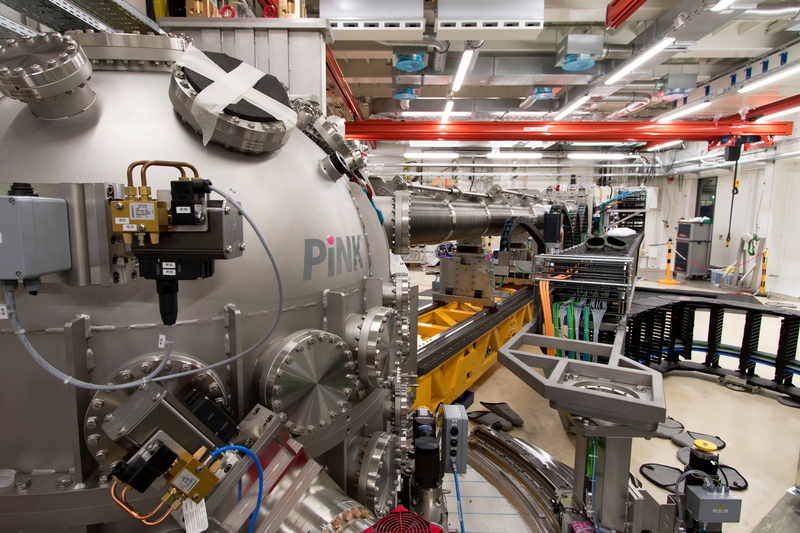 A next call for user proposals for experiment time, now at all six instruments, will open shortly.